The PWC Clean Room Utility Fogger II generates cool, non-contaminating visible vapor for studying airflow patterns in clean rooms, laboratories, food storage and processing plants, patient isolation rooms and operating rooms. 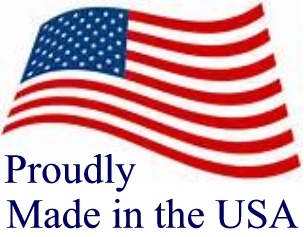 The vapor is non-contaminating--consisting of 100% distilled or de-ionized water droplets. The fog is produced using high-powered ultrasonic transducer, generating water droplets approximately 0.5 microns in diameter. The PWC Clean Room Utility Fogger II is essential for assuring conformity with SEMI S2-0712b and SEMI S6-0707E guidelines for semiconductor manufacturing equipment. It aids in visualizing airflow patterns, vortices and turbulence caused by clean room structures, equipment, furniture and technicians. It is key to identifying air entrainment patterns along ceilings, walls, and other flat surfaces as well as documenting air exchange between clean zones. 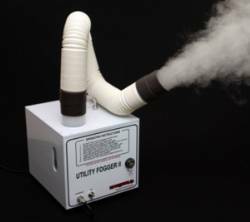 The Utility Fogger II is powered by 120 VAC or optional 240VAC and comes with a power adapter and 10 m power cord. The unit is compact, measuring only 10” x 9” x 11” and holds a full gallon of DI water for uninterrupted fog production for approximately one hour. 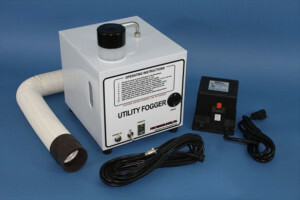 The fogger is intended for placement on a flat, level surface when operating. The 2.5” flexible supply hose stretches from 28” to 82” to extend reach. An optional fog wand is available for creating a fog curtain. An integrated level sensor protects the ultrasonic transducer by shutting down the unit in the event the DI water level runs low. The ultra sonic transducer has an approximate 5000-hour service life. 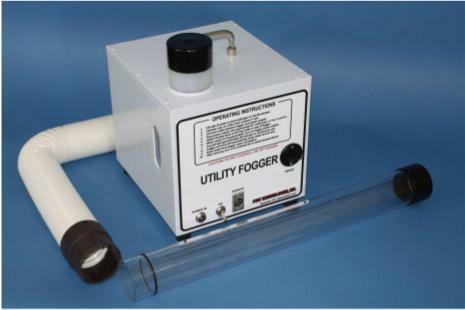 The Utility Fogger II is constructed of rugged non-contaminating materials acceptable for clean-room use.